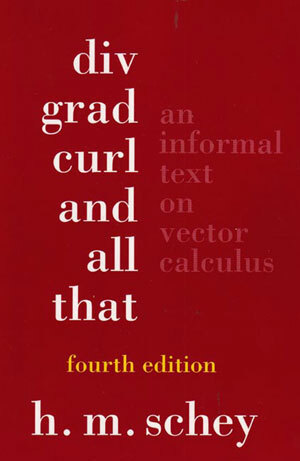 Div, Grad, Curl, and All That - Description | W. W. Norton & Company Ltd. This new fourth edition of the acclaimed and bestselling Div, Grad, Curl, and All That has been carefully revised and now includes updated notations and seven new example exercises. 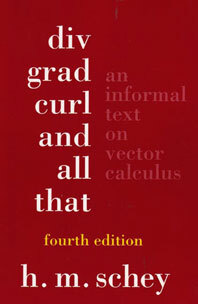 Since the publication of the First Edition over thirty years ago, Div, Grad, Curl, and All That has been widely renowned for its clear and concise coverage of vector calculus, helping science and engineering students gain a thorough understanding of gradient, curl, and Laplacian operators without required knowledge of advanced mathematics.